We do our best to make KitchenAid.com returns easy and convenient. 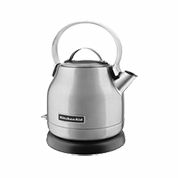 You may return items purchased on KitchenAid.com within 30 days of purchase for a full refund or replacement. Simply fill out the return section of your order’s packaging slip, send the item back to us in a new and unused condition, and you’ll receive your credit within 7-10 business days. *Shipping charges are non-refundable. Send your package via a traceable method (FedEx or UPS). We are not responsible if there is no proof the product was delivered to us. Fill out the return section of your order’s packaging slip. Please complete and include the return form for all refunds and exchanges. You will need the product item number and your reason for return. Once we validate the returned items have arrived, you will receive a confirmation email and your return will be processed. 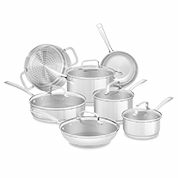 We are only able to process returns and exchanges for products purchased on KitchenAid.com. For all products purchased in a retail location or through a trade partner website, please refer to that seller's returns policy. If you have additional questions, please contact Customer Service at 1 (800) 541-6390 for Countertop Appliances, Kitchenware & Kitchen Tools or 1 (800) 422-1230 for Major Appliances and Microwaves. © 2019 KitchenAid. All rights reserved. The design of the stand mixer is a trademark in the U.S. and elsewhere.